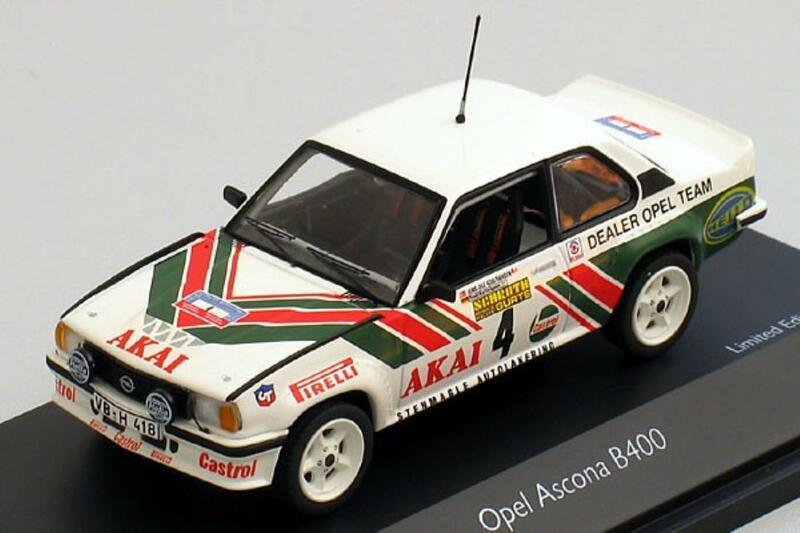 The Opel Ascona 400, despite being famous as the last rear-wheel drive rally car to win its pilot the WRC Drivers' Championship, did not have the relevant livery in Tamiya's release. The WRC-winning car is of course a Rothmans-sponsored racer, while Tamiya elected for a paint scheme strongly reminiscent of the now-obscure Jens-Ole Kristiansen's car. Kristiansen's racer seems to have been campaigned primarily in Scandinavian and German rallies, and bore the Castrol/Akai sponsorship that was emulated in Tamiya's 37th electric RC car release. The livery did not make reference to any specific rally - by drawing on the Ascona 400's WRC success, the designers appear to have simplified the overall scheme in omitting Kristiansen's name from the decal sheet and using the #1. This could imply that it was in some way representing 1982 WRC champion Walter Rohrl's racer, but it is possible that Kristiansen was seeded #1 at one of the local rallies where he used his Ascona 400. 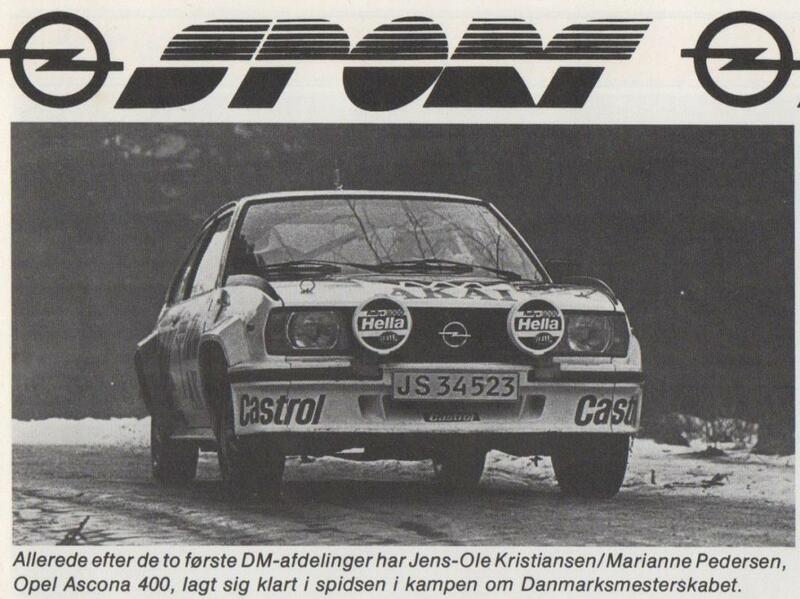 Most visual information regarding this car is inaccessible on the Internet - certainly less so than other cars subject to Tamiya releases, although timing sheets from past events do mention Kristiansen's involvement with Opel cars, including the fateful Ascona 400 registered JS 34523. 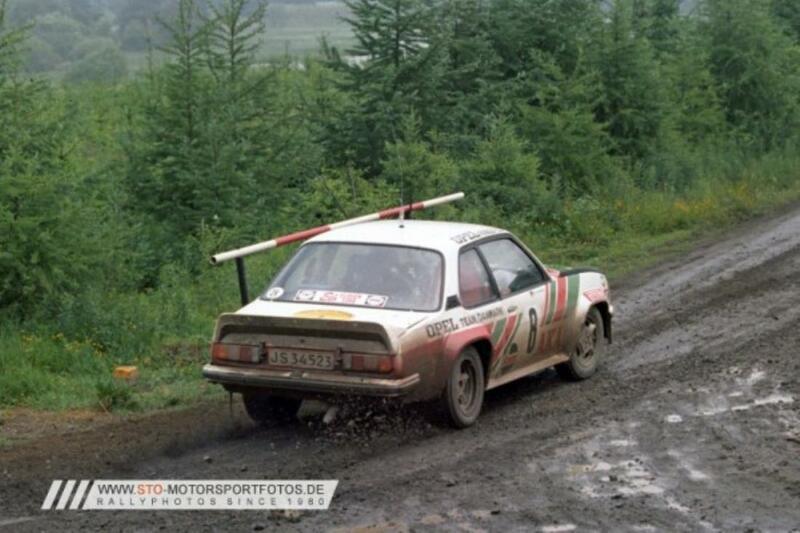 That car was numbered either 8 or 9 on events such as the 1982 Hunsruck Rally. On the 1981 Sachs Winter Rally, he was using one registered VB H 418 and numbered 4, as in the scale model image in this entry. In any case, the most popular lighting setup appears to be two spotlights supporting the main running lights as opposed to the four available in the Tamiya kit - although Rohrl's car used four and even six at specific rallies. For 1983, Kristiansen appears to have used JY 52 776, and the Akai sponsorship was replaced with that of Monroe. 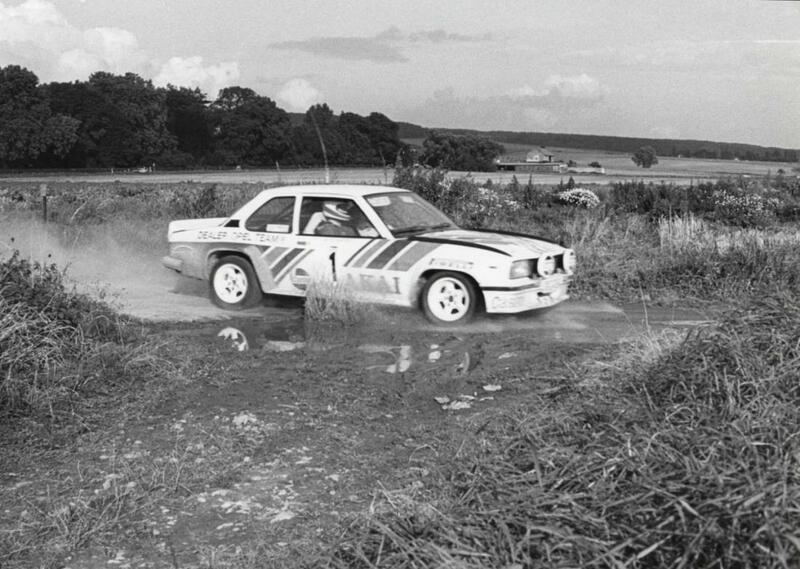 It is now known that Kristiansen was seeded all manner of numbers at different rallies given his high involvement, including #1 through parts of 1981 and 1982. 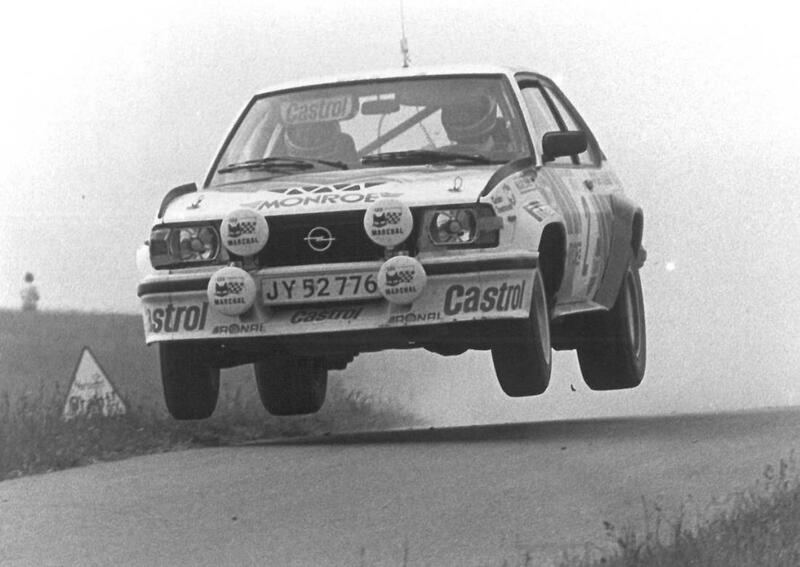 Whatever the case, Kristiansen was a force on the Danish rally scene. 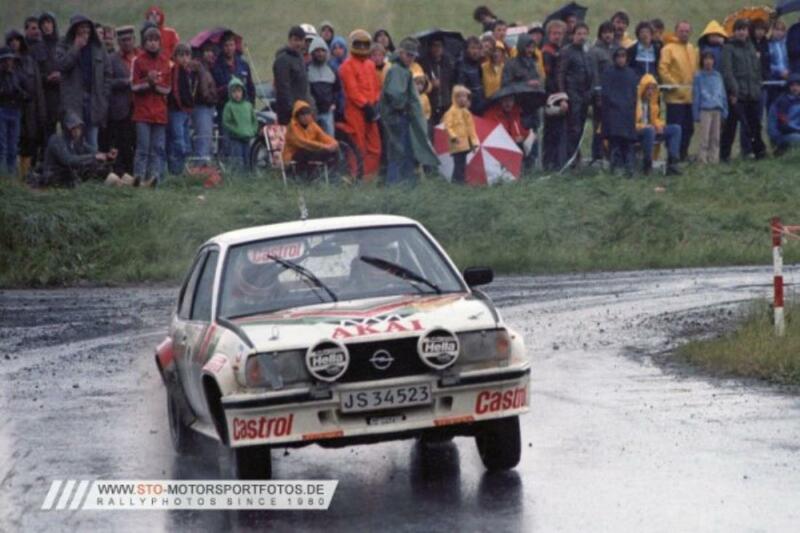 The Facebook page on his career mentions that he was the Danish Drivers' Champion in his first season with the Opel Ascona 400. Later on, he would drive the Manta 400 (when he would win again in 1984) and assorted Peugeots; as TC member Steffen mentioned, this would be part of his long association with Peugeot, culminating in his dealership. 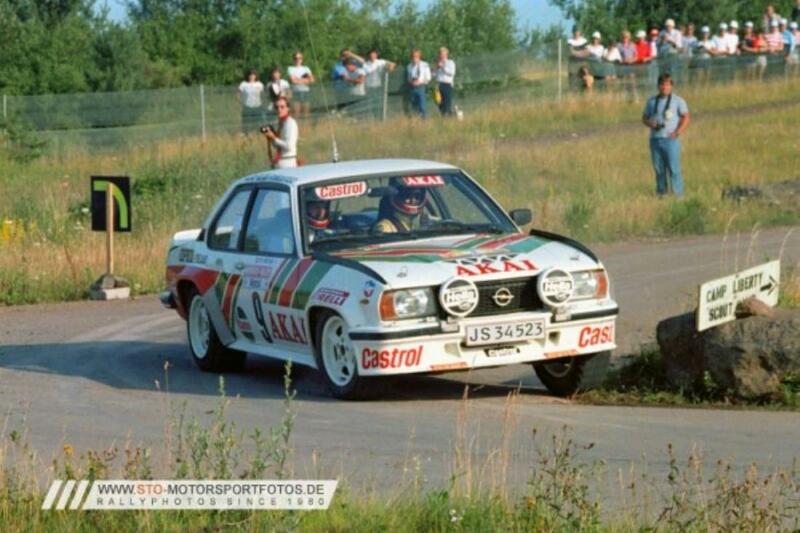 This research was ostensibly to allow me to give a different number to my own Opel Ascona 400 project, and eventually I would give it #8 - Kristiansen's number when he drove in the 1982 Hessen Rally. With the apparent lack of information or images on the Castrol/Akai-sponsored Opel Ascona 400, this showroom entry was created. Photo and informational credits are due to: http://www.sto-motorsportfotos.de/fotos-1980-1989/. Kristiansen's rally career results can also be found at: http://www.ewrc-results.com/profile.php?p=16849. Additional photo credits (Photos 6 - 10) go to the Jens-Ole Kristiansen Facebook page at: https://www.facebook.com/Jens-Ole-Kristiansen-Rally-karrieren-i-billeder-151448615062873/. JS 34523 at the 1982 Hessen Rally. 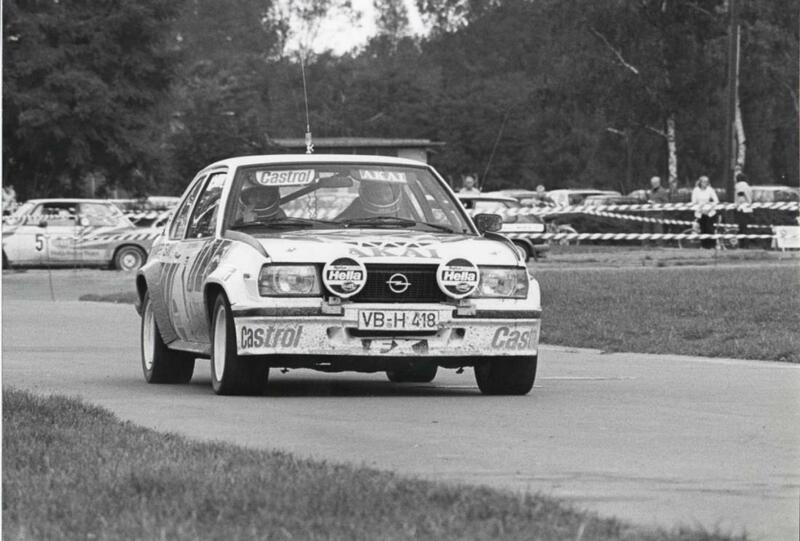 More of JS 34523 at the 1982 Hessen Rally. JS 34523 at the 1982 Hunsruck Rally. VB H 418 from the 1981 Sachs Winter Rally in 1:43. JS 34523 at a rally in 1982. Here it wears #1. 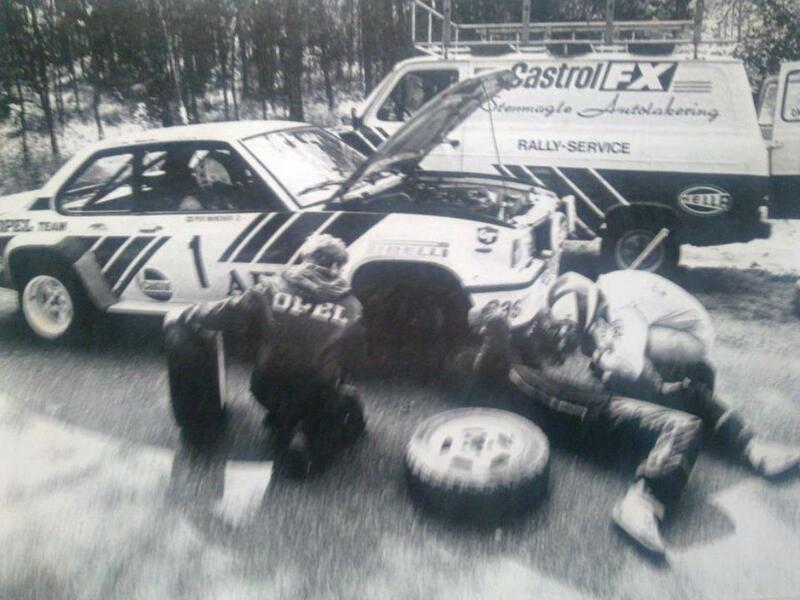 Kristiansen servicing his Opel Ascona 400 in 1982. In 1983, Kristiansen drove JY 52 776. 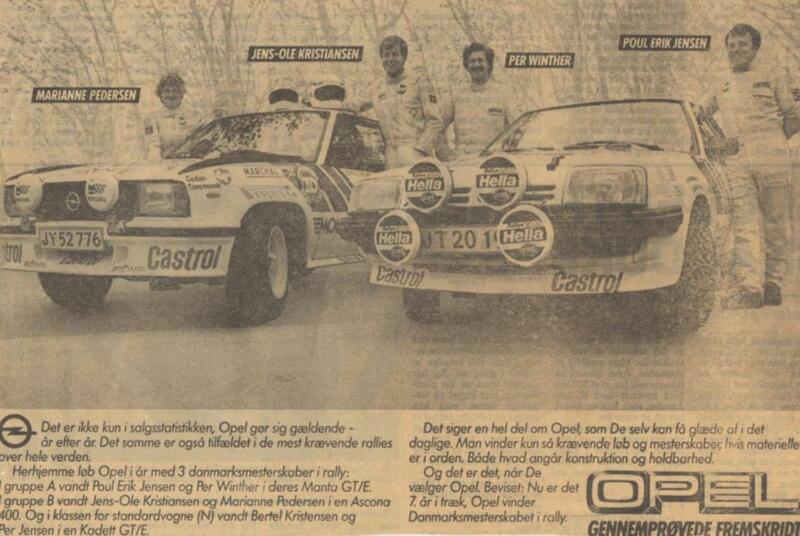 They were the face of Danish Opel dealers in 1983. This appears to be JS 34523 with #1 in an ad. Kristiansen was Danish champion his first year. He has also been an authorised Peugeot dealer for the past 25 years or more. How about that! I should have given that page a closer look. Thanks for sharing!